After completing your graduation you may feel like you have accomplished a great milestone in your career. You will start dreaming of wearing smart formals, working in a cabin and earning a big fat salary. I am sure that everyone is very keen on earning a good salary after B.com but trust me it is not as easy as you think. Building a career after B.com can be quite difficult. I know that not everyone is capable of going for a CA, CFA or MBA because of various reasons but even as a graduate you can earn a good salary in accounting job. A short term course can surely help you with it, but there are certain accounting skills that you should work on and certain things that you should keep in mind to earn a decent salary in accounting career. In today’s competitive world, if you are not satisfied with the career or course you pursued there are many short term – high value – low investment courses available in the market. Not just accounting, in whichever field you choose to go, the basic thing that every interviewer is going to notice is how well you can communicate. As an Accountant, you’ll be communicating with a lot of people verbally, through mail or phone call etc. You have to make sure that the other person is able to understand your point of view. There may be times that you are working with non accountants so you need to make sure that you use jargon free language with them. Even when you are going for an interview, make sure you sound confident about yourself. Effective communication impresses the interviewer the most. 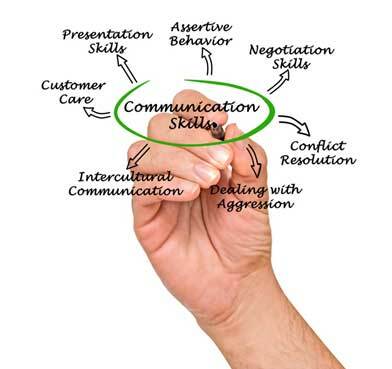 Again like communication skills, leadership is something that you require in all fields. When you want to grow in any field, leadership qualities are a must. From the very beginning, show that you can be a good leader and you have the ability to get the work done from others. Once you prove that, you will surely have your own team to lead. Confidence and Patience are the two most important qualities that a leader must have. Make sure you have these qualities, if not try to develop them. When you are in an interview, the interviewer always asks if you have any questions. Don’t say no. Ask reasonable questions like what challenges you will face, culture of the company etc. This will make you sound confident. When you are looking to make it big in the field of accounting, knowing the basics of IT is a must. Today, most of the companies use accounting softwares like Tally, Quickbooks, SAP or any other. So knowing about them becomes necessary if you want to earn a good salary from your job. Like Communication and Leadership skills, IT skills won’t come naturally to you. So join some programs that will teach you about these softwares. When you are in an interview, the interviewer will definitely ask about some software, if you know it then well and good but incase you don’t know about it, don’t lie about knowing it but simply say that you are more than willing to learn about the software and you are a fast learner. Knowledge about the field that you are working in is very important. When you are in college, you are taught about the various theoretical concepts but to stay updated with the industry that is not enough. You need to know which are the best companies, why they are best and some important details about them. Even when you are going for the interview, make sure that you go through the company’s website. Gather maximum information about the company as it can come handy at any point of the information. 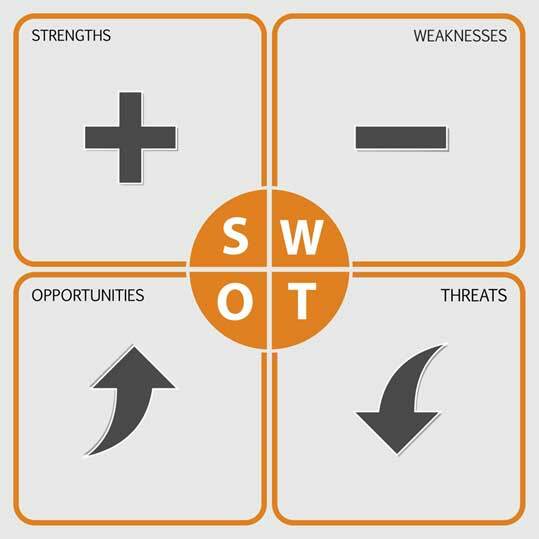 In college, you may have worked on many assignments and must have carried out SWOT analysis on various topics but now is the time to carry it out on yourself. Nobody other than you know your strengths better, so analyze your strengths and find a job of that profile. If you think that you are good in taxation or good with some accounting software then mention that in your resume. Create a linkedin profile and mention it over there as well. Infact use linkedin to get a perfect job . Your strengths are something that will give you an edge over the others. Knowing your weaknesses is equally important as knowing your strengths. Everybody has some weakness so instead of hiding it, work on that weakness and don’t let it come between you and your dream job. If you think that your communication skills are not up to the make or you are low on confidence then join some personality development course and get rid of your weaknesses. There are chances that the opportunity is right in front of you and you might miss it so always keep your eyes and ears open. If you go to the website of any large organization they always have a career page so check that out and see if you can fit in any role. 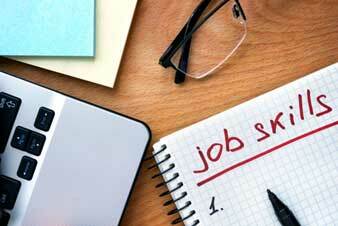 Upload your resume on job searching portals like Naukri.com, Timesjob etc. Try connecting with the HRs of big companies through Linkedin. Leave no stone unturned and you shall get your dream job. In your case, threats are basically the candidates who have similar set of skills as you and similar qualification as you. So the only way to stay ahead of them is to make sure that you take care of the above mentioned things and hope that your competitors are not doing the same. As mentioned above if you go for any short term accounting course then it can help your career in a great way and it can help you get good salary as well. If you are looking for a career to improve your salary package then there are many courses available for obtaining good salary. EduPristine is one institute where you can pursue any of these international courses that will take your career to new heights. There are many more career options present for you in the field of finance as well. Here is the list of finance course that you can pursue for a better career. Next What does it take to become a Big Data Analyst?